thanks, weld away!!! what you mean by wrecking yard?? a new gate?? how would you get a new gate onto the existing pins? looks like a factory job, not bolt on at all?? wait i just you tubed replacement. is that notch supposed to be there so you can lift the gate off the pins to replace??? why does mine want to fall off when i open it?? notch was there, mine just eroded away to too big of a gap?? Last edited by wlupo; 09-06-2018 at 09:17 AM. And the slotted opening should only allow you to pull off that side when tail gate is at a specific angle. So to remove tailgate, normally, you need to put tailgate at that specific angle lift out that side then move tailgate sideways pulling other side off its "PIN"
Also do you have the support cables on the tailgate? One of mine was broken so I had to replace it. They also kind of help keep the tailgate in place. not completely, but it does help. No need to delete the thread, because this info could be useful to someone else. What was the resolution? Someone else may have the same issue and need advice/direction. Just to add some extra info that wasn't mentioned, there's supposed to be a little rubber bushing insert in that slotted opening. If that's missing, that will also make it easier for your tailgate to "fall" out when you open it. Where to buy Explorer 20-pin pigtail? 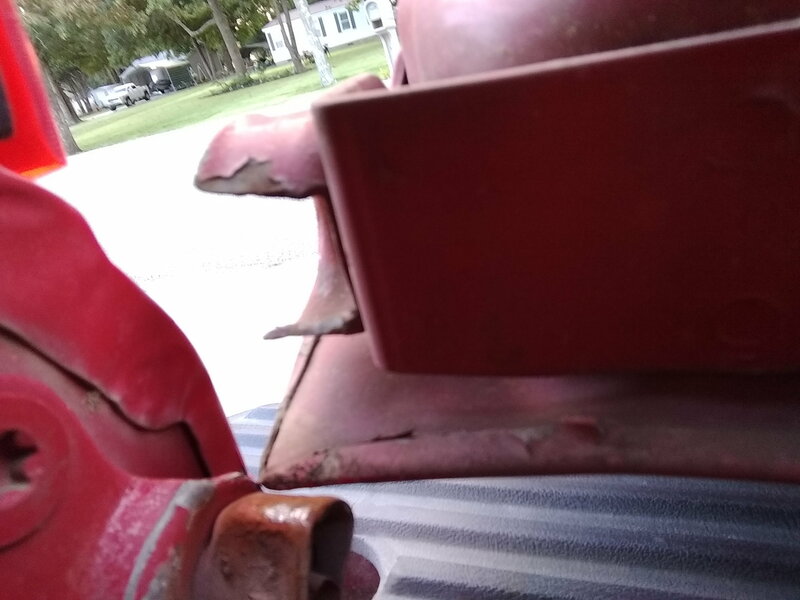 Where to start with bumper repair? Quick Reply: tailgate post/pin/gate ? ?